Crossrail work continues this weekend between Abbey Wood and Woolwich with another closure of the line from Plumstead to Dartford, with dozens of workers on the line. 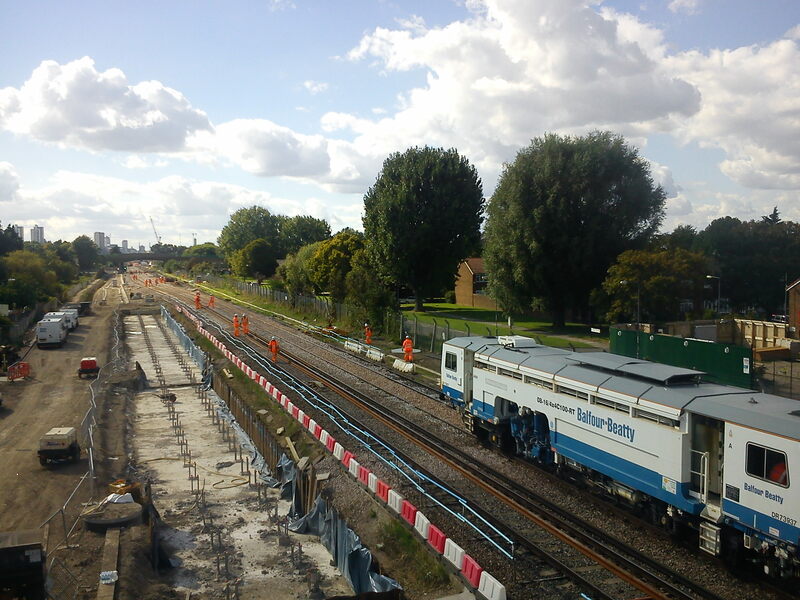 One reason for the closure is that the east bound track between Plumstead and Abbey Wood has been re-positioned to the south by a metre or two. It now follows the re-aligned London bound track, which was moved a month or two back. It’s not too easy to make out below in this phone picon my clapped out mobile, which doesn’t have a decent zoom. In the foreground the foundations have been laid for the replacement footbridge. Another footbridge around half a mile closer to Plumstead at Church Manorway has had its main span installed, after work had to be halted on a previous weekend closure. 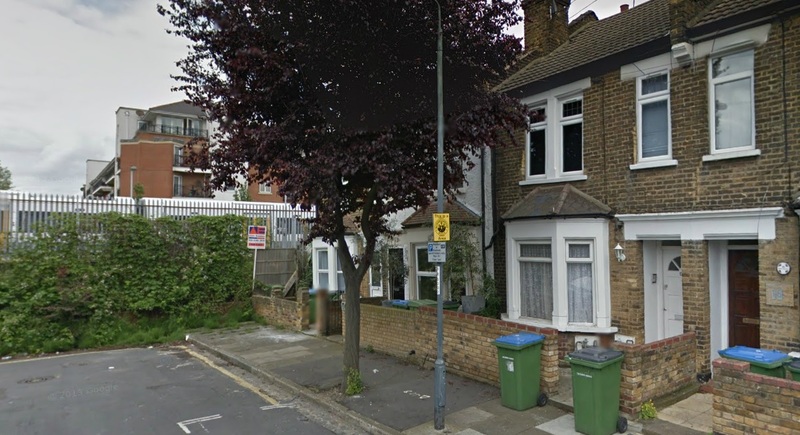 The houses have been completely gutted since this image was taken and the road fenced off. Demolition looks to be very imminent. 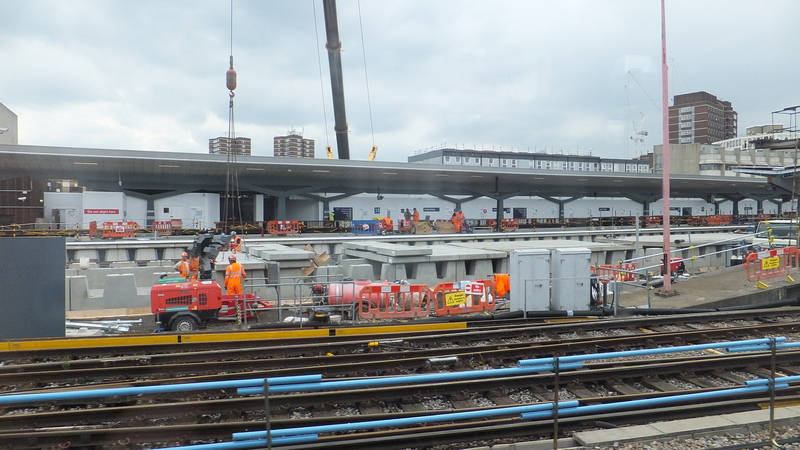 Another big infrastructure project in London currently in full swing is Thameslink. 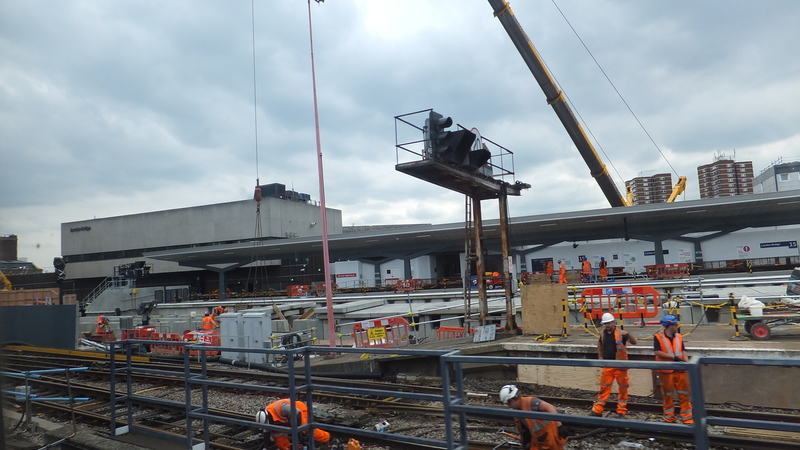 At London Bridge station major work has been taking place over the past week on completing platform building. This has resulted in a complete closure of the station for all trains on the side of the station served by Southern. This is a precursor to platform closures on the Southeastern and First Capital Connect platforms. It’s impressive just how much has been achieved during the closure. Passing by the site on the train shows a mammoth amount of work going on, with a huge amount of workers involved in installing new bridges, tracks, station platforms and buildings. Work on these particular schemes should be complete tonight and the lines reopen tomorrow. Another core piece of civil engineering taking place (as reported in one of your earlier posts) is the Thameslink Programme. I still can’t fathom how the “dive under” in Lewisham will actually work. I have looked at the maps and have looked at the site (as my train hurtles past it at 6omph in the evening!) and I’m still none the wiser.